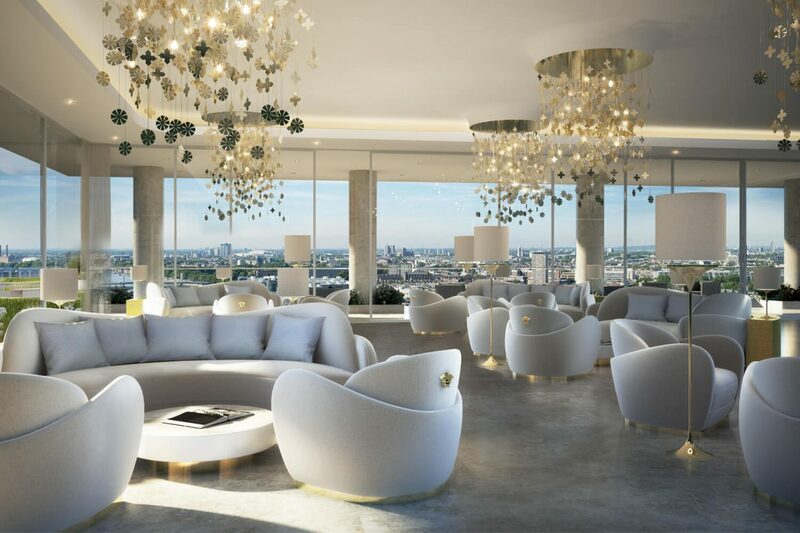 Luxury real estate developer DICO UK Property Holdings Ltd, a wholly owned subsidiary of DAMAC International Limited, has announced the first of its fashion residences in London with a 50-storey, 360 unit project with interior designs by Versace. The lobby, amenities and interiors for each property will be expertly designed and fitted out by Versace Home. DAMAC Tower Nine Elms London is located at the heart of the UK capital’s Nine Elms regeneration area adjacent to Battersea, overlooking the River Thames. The tower is due for completion in 2020. DAMAC Tower Nine Elms London will be the first private residence project of scale in London to be fully designed and conceptualized by a luxury fashion house, with Versace involved in all aspects of interior design. DAMAC Tower Nine Elms London combines a mix of premium penthouses, three-, two-, one-bedroom and Manhattan Studio units with City and River views along the Thames to the Palace of Westminster and the London Eye. “There is a huge appetite from our current global customer base for luxury property investments in London,” said Hussain Sajwani, Chairman of DAMAC. “DAMAC Tower Nine Elms London presents an unrivalled opportunity for them to access the stable and established London market. DAMAC Tower Nine Elms London, with Versace-branded living, is a truly unique concept and a fantastic addition to the residential market in this amazing cultural and vibrant city”. “It also presents prospective buyers with an unrivalled opportunity to own a luxurious central London home, in close proximity to the luxury shopping destinations of Knightsbridge and Mayfair, Chelsea and the planned Linear Park,” he added. A host of internationally recognised companies are working on the project including one of the world’s preeminent architecture firms, Kohn Pedersen Fox Associates (KPF), Turner & Townsend (TT) and consultants including JLL and WSP.